Success of method elicits celebratory cheer. Colombia fans taking fake binoculars into the stadium to sneak in booze. 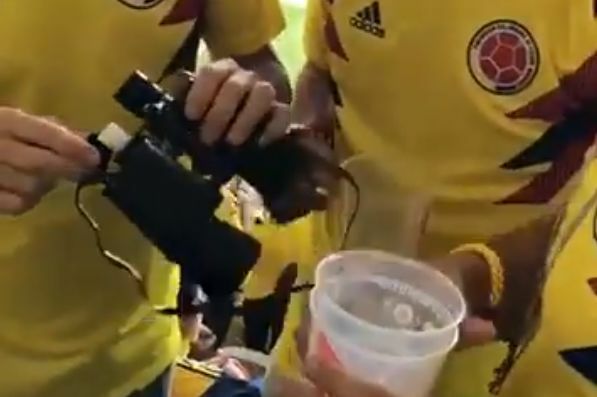 Colombia supporters managed to sneak alcohol into the Mordovia Arena inside a pair of fake binoculars for their World Cup match against Japan. The ingenious method drew a celebratory cheer from the carriers’s friends when it was revealed to have worked a charm. It will have come in handy too, with Colombia going on to lose 1-2 after midfielder Carlos Sánchez was sent off inside the opening minutes.